12 Days Of Holiday Music: Day 12 - "The Christmas Song"
All good things must come to a beautiful end. This is what we're telling ourselves with our final video in the countdown of our "12 Days of Holiday Music." 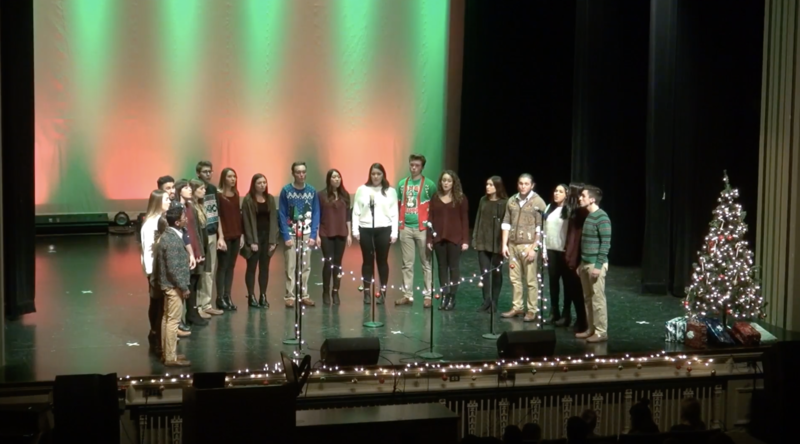 In this gorgeous collaboration video of "The Christmas Song" the ladies of The Girls Next Door and the gentlemen of The Other Guys, both from the University of Illinois have crafted a wonderful holiday performance that is sure to give you all the feels you could ever want. The handing off the melody is executed flawlessly as the sounds of the holiday are laid gently on our ears by these two outstanding groups. Enjoy as you welcome in the holidays!